We were very kindly invited to the launch night of Saffron Summer in Chessington, a restaurant offering a new direction in Indian cuisine in the area. We are not experts in Indian cuisine but we have to say how much we enjoyed it – the décor – the staff who were friendly and very knowledgeable – and the delicious food. 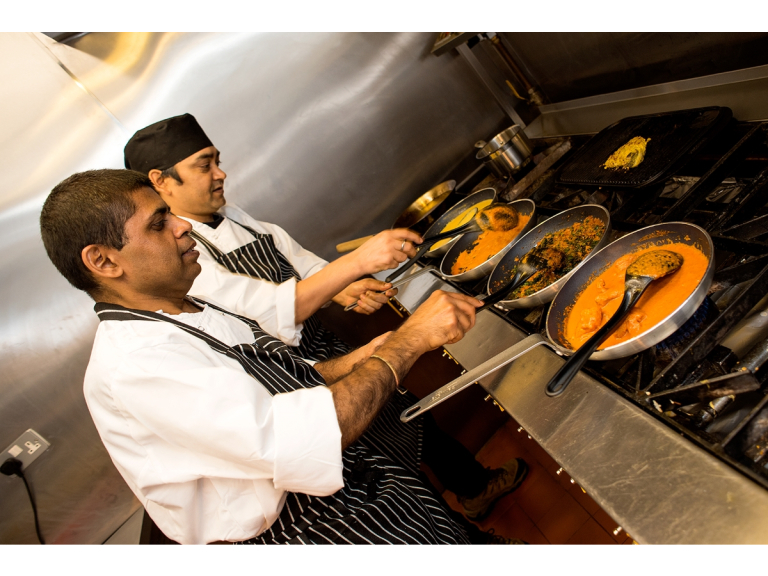 With a highly skilled chef the restaurant will be offering fine dining in the evenings whilst at lunchtime it will have – what you could almost call an Indian Tapas – with authentic street food – ideal for a quick lunchtime break. 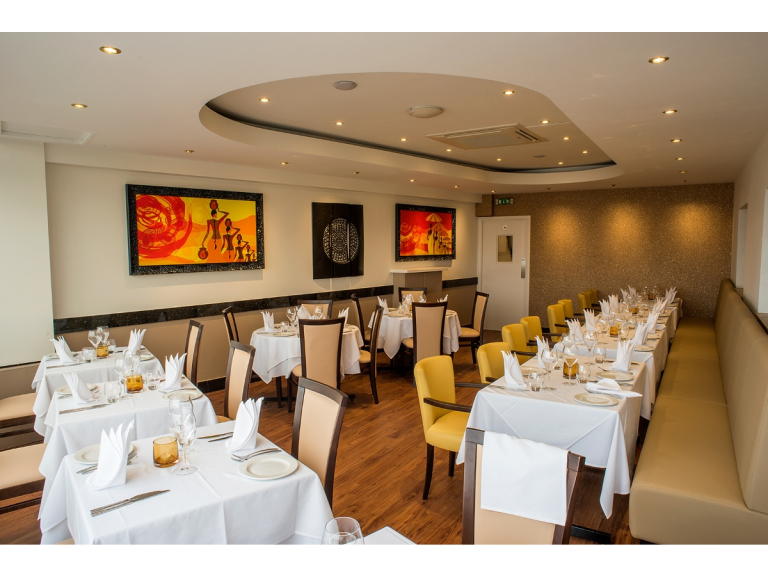 Surrey is set to welcome summer a few weeks early with the opening of Saffron Summer (Thursday 19th May), a fine-dining Indian restaurant aiming to set new standards in Indian cuisine with affordable prices, a highly respected chef and locality on its side. Expect a fabulous mix of modern twists and authentic classics from the Saffron Summer menu, which has taken the very best dishes from India’s diverse regions and added flare and innovation. Executive Chef, Awanish Roy, formerly of world-renowned Cinnamon Club, will be serving up Wild Boar Vindaloo and Guinea Fowl Banjara for the more adventurous diners, with British favourites such as Chicken Tikka Masala and Lamb Korma available for traditionalists. 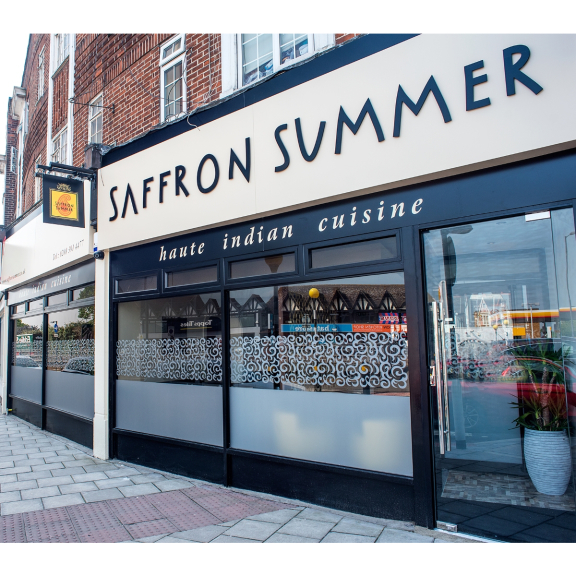 Saffron Summer opens its doors on Thursday 19th May and is conveniently located on the Claygate, Esher, Hinchley Wood and Surbiton borders, within easy access of the A3 and boasting ample parking. 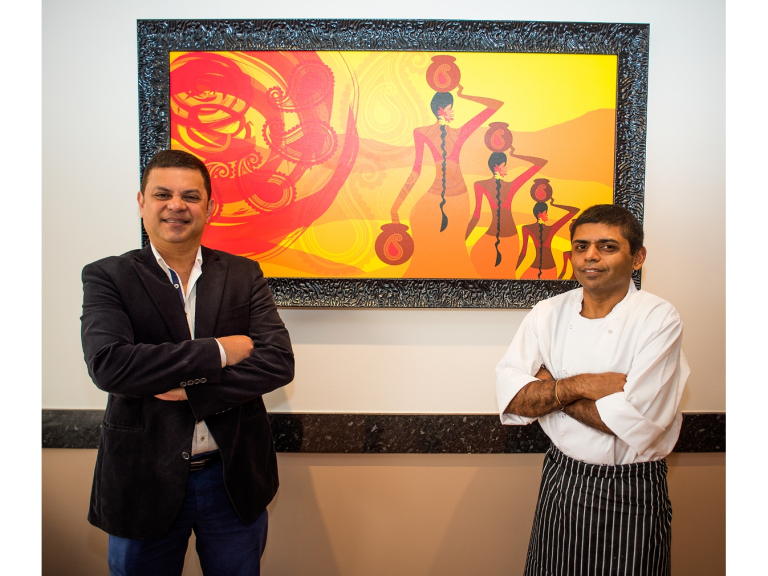 Ralph Sousa, owner and brainchild of Saffron Summer, is delighted the launch has finally arrived: “Bringing Indian haute cuisine to the suburbs is something we’ve long dreamed of. We’re offering a high quality Indian dining experience, usually reserved for London restaurants, but without the hassle of trains, tubes or long journeys and more importantly without the premium price point. Fine dining by night, Saffron Summer’s daytime menu looks very different with an array of Indian tapas-style dishes with a street food influence, such as Mumbai delicacy, Sev Batata Puri (Ajwaini spiced chickpeas and potatoes, wheat crisps, yogurt and tamarind, spinach bombs), hoping to attract the casual lunching crowd, looking for value-for-money and something a little bit different. Saffron Summer opening hours are: Monday-Thursday, lunch 12pm-2.30pm and dinner 6pm-10.30pm; Friday/Saturday, lunch 12pm-2.30pm and dinner 6pm-11pm; Sunday lunch 12pm-3pm and dinner 6pm-10pm. Reservations can be made online via www.saffronsummer.co.uk, by email saffronsummer1@gmail.com or telephone on 020 8391 4477. Come and discover Surrey’s best kept Indian dining secret!